Hello, my name is Suhaimee. I live in Malaysia with my beautiful wife, and five lovely children ages two to twelve. Since my childhood, I like to pencil draw. The first drawing that I drew was a shark from a box office film called "Jaws" - I was six years old at that time (1977). My friends and even my teacher were impressed by my drawing. Since that time, I knew that I can draw. Yet, I didn't learn in an art school. I entered a science school in 1984 for my secondary school. However, there was a session a week to learn art. That was my most favorite subject! And to add to your surprise, I hold a Master degree in Chemistry. I got my first degree in Sheffield, UK in Biochemistry and Microbiology. I'm now a full-time research officer as a fish nutritionist! I stopped drawing long enough since my secondary school. But I love to pencil draw and I want to share my knowledge to the world...but I don't know how. The best way that I've learned is through a web site. So, I decided to create a web site. 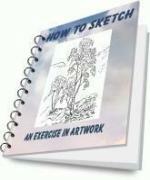 Like my Pencil-Drawing-Idea.com web site? At first, I didn't expect my web site will be found by so many people around the world since I know nothing about HTML and other things related to building a web site... but... I was amazed by the amount of traffics my web site received. Read more about me on how this web site has changed my life!